Poulet Poulet: What if the aliens are already here? 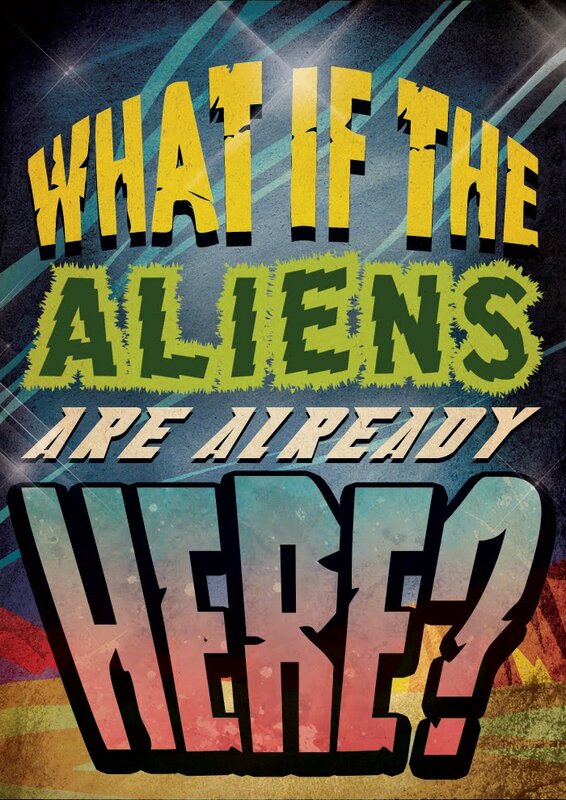 What if the aliens are already here? Lately I haven't made any graphics at all or done anything creative that wasn't work related. I've been in a rut. So this weekend I decided I wanted that to change. So, my boyfriend will start giving me practise assignments to get me back on the horse. It's just quick challenges but hopefully it will get me motivated. Today's quick challenge was to make a typographic sci-fi poster that said "What if the aliens are already here?". I decided to do something retro looking with lots of colors and fun fonts. My result is below.